Previous research has determined that rats reared in an enriched condition (EC) are more sensitive to the effects of acute systemic amphetamine than rats raised in an impoverished condition (IC). The present experiments examined the effect of environmental enrichment on locomotor activity following repeated injections of nicotine. Experiment 1 assessed differences in locomotor activity in EC and IC rats and experiment 2 assessed differences between EC rats and rats housed in pairs without novel objects or daily handling (social condition; SC) to determine whether enrichment causes changes beyond that of social contact alone. In experiment 1, EC and IC rats were treated with saline, 0.2 mg/kg or 0.8 mg/kg nicotine, and locomotor activity was assessed for 60 min. Nicotine-induced activity was measured every 48 h for a total of eight sessions. All rats were challenged with 0.8 mg/kg nicotine on session 9. In experiment 2, EC and SC rats were treated with saline or 0.2 mg/kg nicotine, and locomotor activity was assessed using the same regimen as in experiment 1. 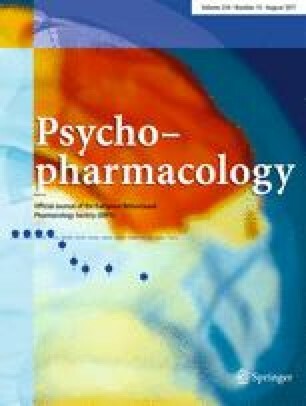 In experiment 1, EC rats exhibited less sensitivity than IC rats to the psychostimulant effect of nicotine upon both acute and repeated administration. On the nicotine challenge session (session 9), EC rats were again less sensitive to the hyperactive effects of nicotine. In experiment 2, EC rats were also less sensitive than SC rats to nicotine-induced hyperactivity across repeated injections. These results suggest that environmental enrichment during development reduces the stimulant effect of nicotine. Research was funded by USPHS grants DA05312 and DA12964. TAG supported by the Interdepartmental Neuroscience Program and the Research Challenge Trust Fund at the University of Kentucky, and USPHS grant F31 DA06093. MEC supported by USPHS grant F32 DA16013.